The Tuck Pendleton machine: zero defects. 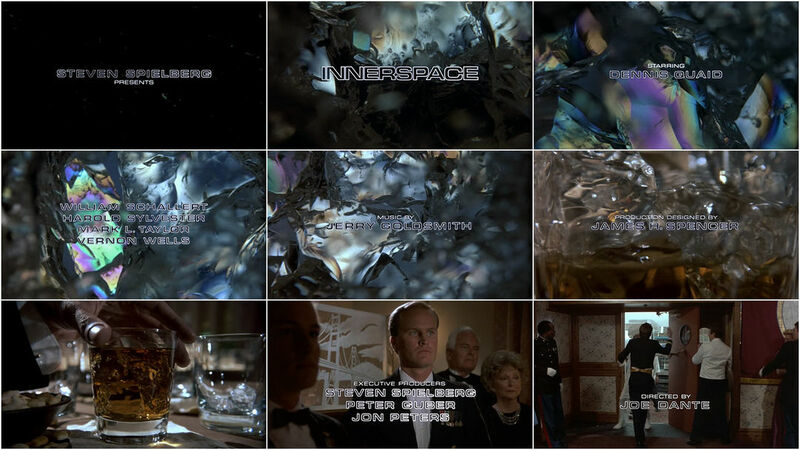 Contained almost entirely within the structure of a single ice cube, the title sequence for Joe Dante's underrated sci-fi comedy Innerspace takes viewers on a fantastic molecular voyage from the bottom of a scotch glass to the hands a swaggering hotshot. 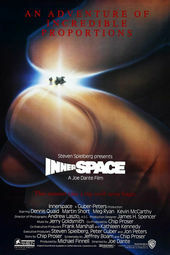 Foreshadowing the film to come, a simple change in scale transforms the ordinary into the alien. Frozen water becomes a shimmering crystalline maze of glacial hydrogen and oxygen, while the chatter of a cocktail party is depleted to become little more than abstruse reverberations — an infinitesimal world reconstructed with every clink of the tumbler. As Wayne Fitzgerald and David Oliver Pfeil's martial titles contrast against the coruscating background the longest drink pour in movie history concludes, introducing us to future micronaut Lt. Tuck Pendleton.